Description: No NYC. Connecticut Buyers please message us with a scan or photo of one of your state permits, or federal firearms license. This listing is for ONE magazine. Here are well made 1911 Magazines that we’ve sold for years, the stainless generic Colt Government. Manufacturer is Triple K of San Diego and its subcontractors, probably Metalforms. Construction is one piece heat treated folded steel body with round count ports, full length tig welded back closure, steel floorplate with 6 weld spots, and steel spring and cartridge follower. Finish is brushed surface stainless with smooth milled back seam. Each magazine holds 7 rounds of .45 ACP / 45 Automatic ammunition. This magazine will fit any 1911 type pistol that is chambered in .45 ACP caliber, from Colts to Llamas and Norincos. 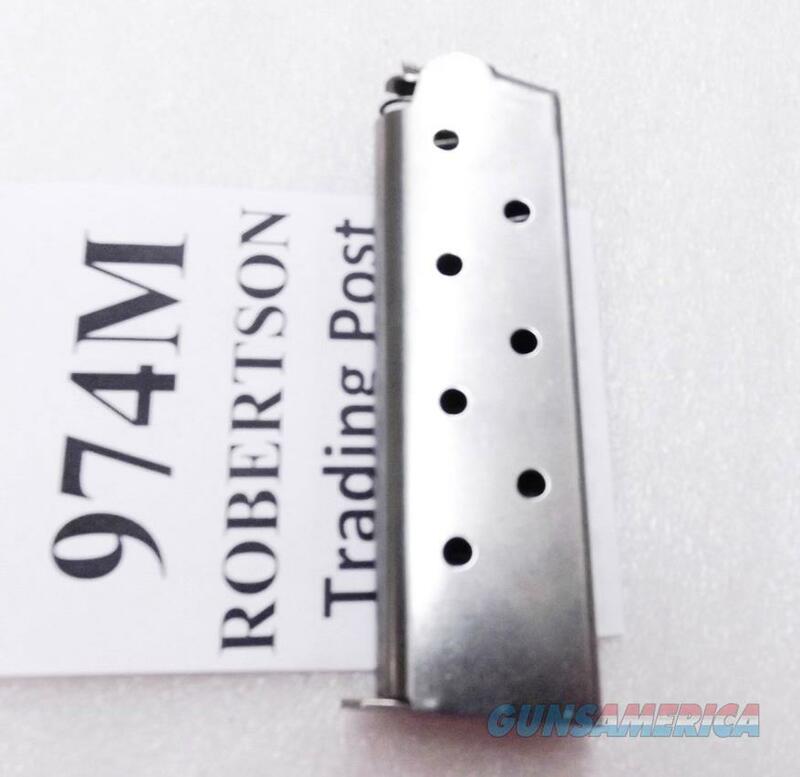 Replacement pricing on similar finished 1911 magazines is upwards of $40 apiece in many areas. We’re offering the Triple K number 974Ms in the photos, however, or their identical mates, each	for only	$ 10.00. No magazine shipments into New York City. Connecticut Buyers please message us with a scan or photo of one of your state permits, or federal firearms license.